Gareth Southgate made eight changes from England’s win against Panama, while opposite number Roberto Martinez made nine alterations – proving victory was not exactly the top priority as the tournament moves towards the knockout phase. That was illustrated by a largely mediocre, lifeless encounter in Kaliningrad that was settled by Januzaj’s goal six minutes after the break, the former Manchester United attacker cutting inside before curling a left-foot finish high past Jordan Pickford. 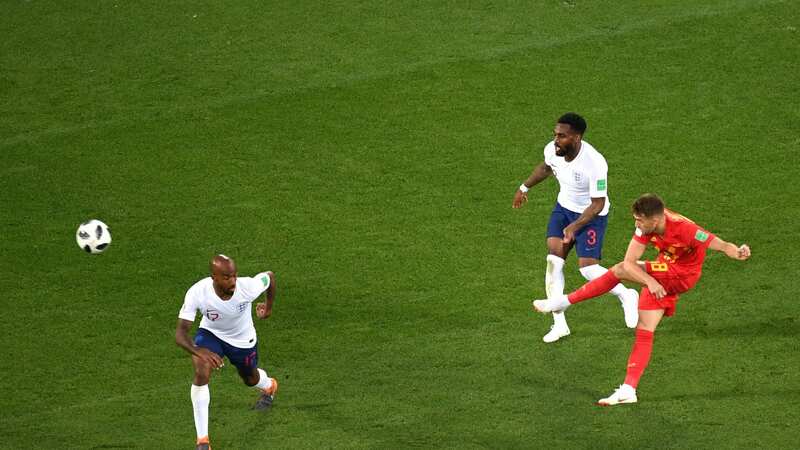 England – who desperately missed absent captain and leading World Cup scorer Harry Kane – barely threatened, though Marcus Rashford should have equalised, Belgium keeper Thibaut Courtois touching his effort wide after he ran clear. Southgate must now reflect on England’s first loss at this World Cup as he prepares to face the dangerous Colombians in Moscow on Tuesday while Belgium go to Rostov to play Japan on Monday. The build-up to this game was played out in the context of who would top the group – with the suggestion finishing second might provide an easier route than winning Group G.
It was clear three points was hardly the top priority for either manager, and the changes occasionally threatened to reduce the game to a farce – the first half ending in a chorus of jeering. Should England beat Colombia, led by striker Radamel Falcao, there is the prospect of facing either Sweden or Switzerland. But the South Americans will pose a real threat and only time will tell if England and Southgate will regret not going harder for the greater glory of victory. Southgate kept Kane back for bigger battles ahead – but this laboured, unthreatening defeat him with much food for thought. Jamie Vardy and Rashford were entrusted with attacking duties. They both worked hard but England’s lack of penetration only emphasised their heavy reliance, some would argue over-reliance, on the captain and talisman. Kane is the tournament’s leading scorer with five goals and has not yet been the beneficiary of a reliable supply line, two goals resulting from corners, two from penalties and another a deflection from Ruben Loftus-Cheek’s shot to complete his hat-trick in the 6-1 win against Panama. He is the central figure in England’s World Cup ambitions, the leader on and off the pitch and a striker every defence at this tournament would be anxious about facing. Southgate’s reluctance to throw Kane into the action, even when England were losing and posing little danger, was perhaps an even bigger indicator of just how important he feels he will be in the knockout stage. Vardy and Rashford did their best, and may make contributions further down the line, but toothless England proved here that they simply cannot do without Kane.